Man, these Finnish chocolates are some of the best, if not the best, non-gourmet chocolates that Iâ€™ve ever had!!! Although Iâ€™d love to live there, one advantage is that these irresistible & mouth-watering chocolates will not tempt me every time I go the the grocery store, pass a newsstand, fill up on gas, you get my drift. During summer months, due to heat encountered in shipping, FinnStyle doesn't sell the Fazer chocolates. Finally we're in fall, ordered and recieved shipment of Fazer milk chocolate bars and chocolate with hazelnuts. Both are delicious and delivery was as promised. 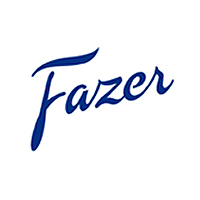 Milk chocolate with hazelnuts is our favorite, but all Fazer chocolate is amazing! This could be seriously addictive! Fabulous chocolate...not "waxy", incredibly creamy, wonderful ...and oh the hazelnuts! This was my first experience eating Fazer chocolate....it will not be my last! Delicious chocolate and speedy delivery. Alway's a pleasure to shop with you. Fazer is a family favorite from several generations back. We have family in Finland. The Fazer Milk Chocolate with Hazelnuts Bar is the flavor that goes missing the fastest from the Fazer Chocolate Bar Gift Pack, so I have to order extras. This time, I decided to just order several of the Hazelnut bars themselves, since this is what the family enjoys the most. Tasty. Smooth. So good i locked it off my fingers. Love the Hazelnut bar the best. The most wonderful chocolate made today. ProsAlways brings a smile and brightens the day of whoever you gift it to! ConsNon that I can think of. I have not had these chocolates for a long time and forgot how good they are. The nuts are very fresh which in many other chocolate /nut combinations are old. Nothing but the best!!!! Fazer chocolate with hazelnuts is one of my favorites. The hazelnuts taste better than in other hazelnut chocolates of other brands and the cholocate is great. The only thing was that it was not the freshest, a few months to expiring date. 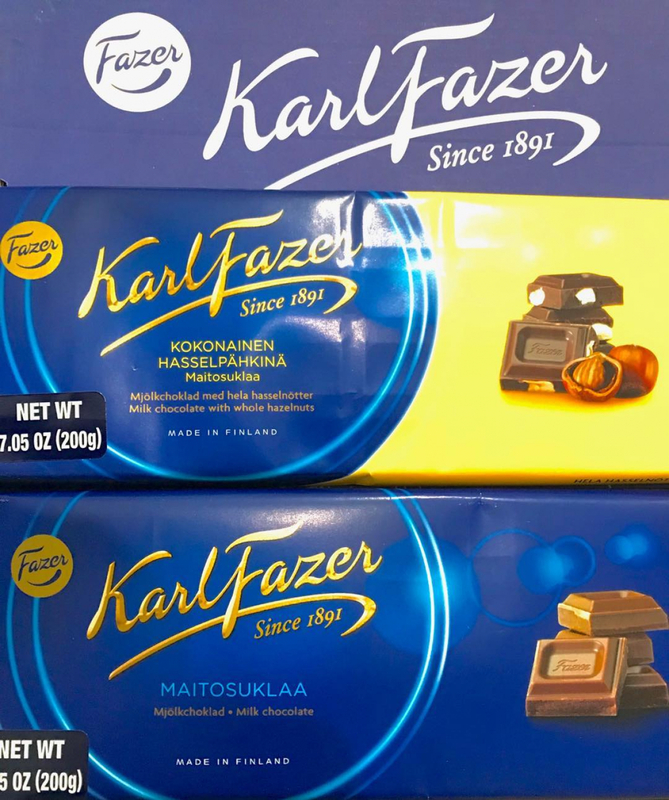 Fazer is a national favorite in Finland and is exported to many countries. I developed an appreciation for Fazer when I lived in Finland. I have not found a variety of Fazer chocolate I do not like but the hazelnuts are a favorite. The rich but subtle flavor of hazelnut blends nicely with the chocolate. It is best at room temperature. Finns say that there are two kinds of chocolate: childrens chocolate and adults chocolate. This is definitely for those who can appreciate the difference. I've tried the milk chocolate bar without the hazelnuts before and preferred the dark chocolate. This time, I tried it with the hazelnuts, but still prefer the dark chocolate. This milk chocolate bar with nuts is good but I've had better. My family liked it better than I did. Everyones taste is different. I really enjoy the smooth and creamy taste of the fazer chocolate bars, but especially liked the addition of hazelnuts to this specific bar. One of my favorites for sure! This chocolate is the creamiest and the most delicious I have ever had. I bought ten bars for Christmas, and gave five of them as presents and kept five bars for myself. Unlike most European hazelnut chocolates, these hazelnuts are whole, not crushed. The chocolate is creamy and very fresh. It is also amazingly reasonably priced. People who receive this chocolate as a present are absolutely amazed how good it is. ProsThe chocolate bar is large for its price. It is so good that it is hard to stop eating it. It is absolutely a culinary pleasure. I love giving it as presents. ConsI cannot say anything negative about the Fazer hazelnut milk chocolate. 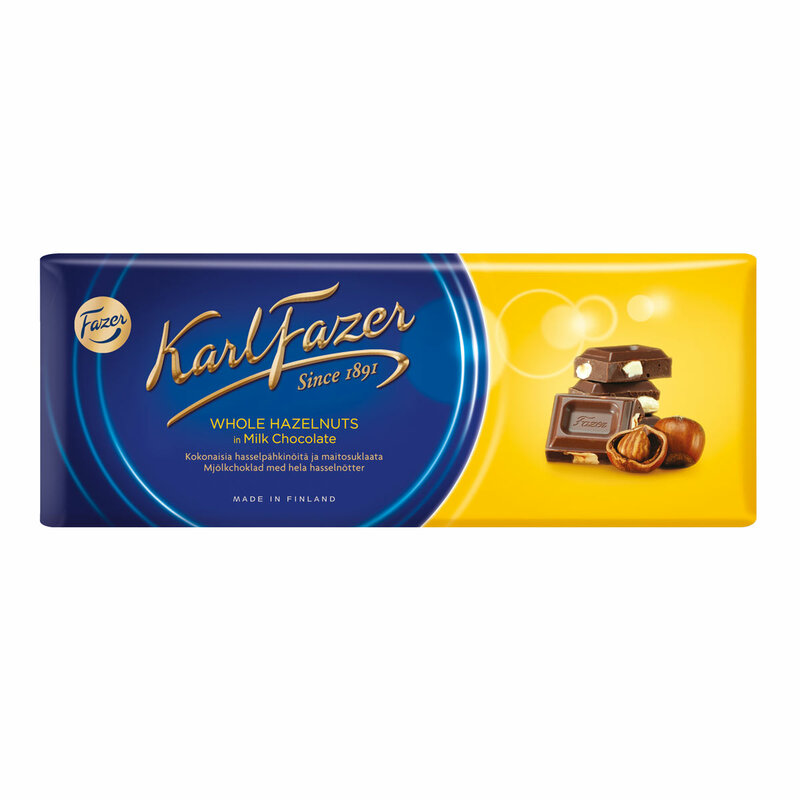 I love Karl Fazer chocolate, but the one with the hazelnuts is sooo delicious! I bought this for family for Christmas, they were happy to receive it! ProsVery smooth, high quality chocolate. For me, Finland is always associates with best coffee, pastries and chocolates in the world... And my childhood fondest memories. I haven't been there for a long-long time and "revisiting" sometimes (often) disappoints. But not Fazer ! Is there any cross contamination with other tree nuts or peanuts? Yes - the machines used for this product are used for other products where pine nuts, etc are made.